Hand crochet fringed edge hand towel made from a waffle weave textured fabric. Dating from the 1920’s or 1930’s. The fabric at one time had a colored three stripe band, but with repeated washings the color has faded. 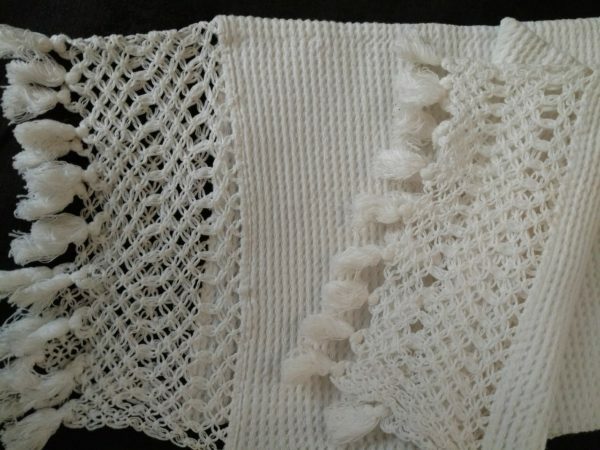 Size of the towels is 37″ long, including the pretty 5″ wide crochet trim on either end. Width of towel is 18-1/2″ wide.